I love what Emily Esfahani Smith says. She is someone I can always count on, much like Brené Brown, to speak very authentically, with a powerful, conscious heart. Emily Esfahani Smith is a researcher and author. The findings that she speaks about are much of what I have noticed in my own explorations and trials and tribulations of experiencing meaning in life. I am grateful also for the interviewer who goes in rapid pace to ensure that Emily covers a lot of ground in useful depth of her knowledge in this area. I truly hope you enjoy this amazing interview. Was having issues with the audio, so couldnt include an intro and outro this time. But will try to have it working for next time. Enjoy! I Broke the Egg Yolk. So What? 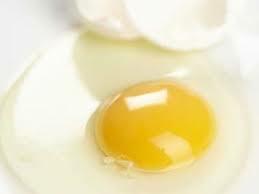 I was feeling good, then the egg yolk broke. And I felt a moment of disappointment, but went back to feeling good. It wouldn’t have mattered if the egg yolk had stayed intact, I would have still felt disappointed at something. Things are fine for you when you feel fine for you. They may come out of nowhere, and shock you, but if you hold the “this is fine”, “it is going to be ok” feeling constant, things reorder themselves to be fine for you. If your perspective is at a general high/up/optimistic constant, Life will appear magical, because things are reordered in ways that appear crazy, to meet you on your perspective. Throughout the low times, your high perspective continues to carry you through, until Life comes seemingly out of nowhere again to meet your high perspective with a beautiful gracious blessed set of events. Keep your perspective high, your optimism, and you invite the perception and experience of a charmed Life. You are always affecting yourself, and your surroundings. Everytime you do, or dont do something, you are directly causing the results you experience. You are the decision maker. Whether you like it or not, that’s the deal. All decisions about your life fall ultimately square on your shoulders. Hey, this is your ilfe. Nobody else can live it for you. Not your parents, not your teachers, not your friends, not your kids. Exclusive rights to do what you want, belongs to you. Your life, your rights. I dont deserve to be happy. You damn skippy you deserve to be happy. Why not? Why would someone else deserve happiness, and not you? As far as we can tell, every happy person on this planet is still a human being, just like you. They are the same species as you. If they can be happy, so can you. If they have the right, so do you. Of course you can. People have been changing things throughout recorded human history. People have changed things about themselves, things about others, and things about the world. Society would still be living in caves, building fires every night, if humans couldn’t change. You are the same as everyone else in that respect, you can change things. Yes, you can. And you can do even more than that. There is no limit to what you can accomplish. The only limits that exist are the ones you accept. Every “limit” has its answer, its resolution. Its antidote.